CourtFileNow is designed for high performance, high-level security, and reliability. CourtFileNow’s Web-based system is flexible and highly intuitive, allowing attorneys and staff to quickly file cases in the court electronically and communicate with the court and all parties. The system can manage and track fees by attorney, firm, or case, or by your own internal customer ID. It can eFile a case or download a case document in an instant. You will see an immediate reduction in printing and copying costs as well as equipment service fees. You will save on travel costs as well as gas and mileage by avoiding travel to and from court to file. These costs can be dramatically reduced. There is an obvious and immediate savings on mailing costs – just consider the savings on certified mail alone. CourtFileNow will generate communications and electronic notice service for all parties represented by an attorney. You will reduce your need to store paper files because all documents are available and stored online for viewing anytime, anywhere. For attorneys: You know immediately when your documents are filed with the court and served on opposing counsel. For legal professionals: You can easily save works in progress and access litigation documents. For firm managers and supervisors: Manage or redirect assignments, enhance filing and billing procedures. Click on each item below for details. Manage firm users, credit cards, and billing; generate financial reports, print receipts, and more. Create custom folders by case to store documents or notes. Utilize flexible options for automatic folder creation. Easily transfer documents from the case or from your computer to your folders. 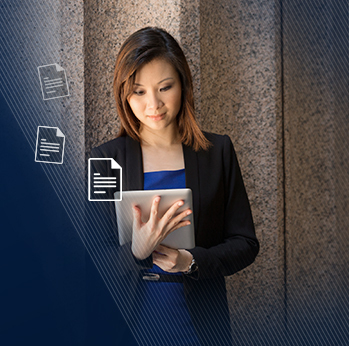 Access documents via free Cloud Storage from any Internet-connected device. Create and maintain custom case reminders. Send and receive case communications to/from selected or all attorneys on the case, and communications from the Court or Clerk. This is great for coordinating hearings. The work “In Progress” feature saves work so you can return to it later at any time in the process, or route the InProgress filing from Firm Staff to an Attorney for Submission. See Current, Archived and eService Filings from your Queue or any other Queue in the firm. View by Case, Party, Disposition, Judgments, Service History, Events, and the Docket, including viewing Documents. Search the Docket by word or term, or for filings submitted by attorney, judge, or clerk. Print the Docket with the push of a button. Select Court and Date Range and drill down to view documents. Print the Calendar with the push of a button. Choose Date Range and Case Detail. Find Cases by number or party with access to Case Detail for eFiled and non-eFiled cases. Filing by Clerk, Court, or any party generates immediate Notice of Electronic Filing and Service. eService Filing appears in the eService queue and the Docket. Email is sent to one or more persons as set up in the Firm Admin by the eFiling attorneys on the case. "CourtFileNow greatly reduces the number of calls from attorneys’ offices regarding case information. The system allows the clerks and courts to maintain service levels at a time when county staffing is under pressure to reduce as a result of budget limitations. Attorneys have been very pleased with the performance of CourtFileNow, and have pushed for expanding its use." Every minute counts! The CourtFileNow eFiling system saves time and money while enhancing accuracy, performance, and communication between parties on a case. Get the CourtFileNow Advantage backed by over thirty years of experience in serving county government. CourtFileNow provides 24/7 rapid processing of case fillings from any computer connected to the internet.